As the Trump Administration and GOP prepare to launch an attack on affordable health care Our Revolution — the organization inspired by the 2016 campaign of VT Senator Bernie Sanders is organizing demonstrations around the country to defend the ACA and health care access, including New Britain. 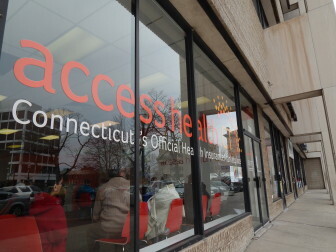 A candle light vigil and rally in defense of affordable health insurance will be held at New Britain Central Park (adjacent to CT Access Health) on Saturday, February 25th, from 5:45 to 6:30 p.m. The rally, organized by Our Revolution’s Central CT chapter, comes in defense of the Affordable Care Act (ACA), Medicare, Medicaid, Social Security, and Huskycare. Participants will gather in front of CT Access Health at Central Park at 5:45pm and the vigil/rally will go from 6-6:30pm. Organizers, including DTC Member Bobby Berriault, ask that participants bring their own candles and signs. Street parking is free on weekends. For more information and to RSVP go to https://go.ourrevolution.com/page/event/detail/gplv4l. This entry was posted in Health Care, Meeting/Event, social security and tagged affordable health care, medicare, Our Revolution. Bookmark the permalink.